It was a sea of green bell peppers. Box after box of them. 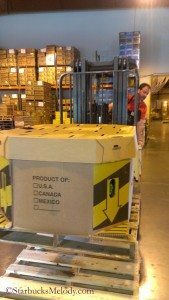 Very large boxes that had to be moved with a small forklift. 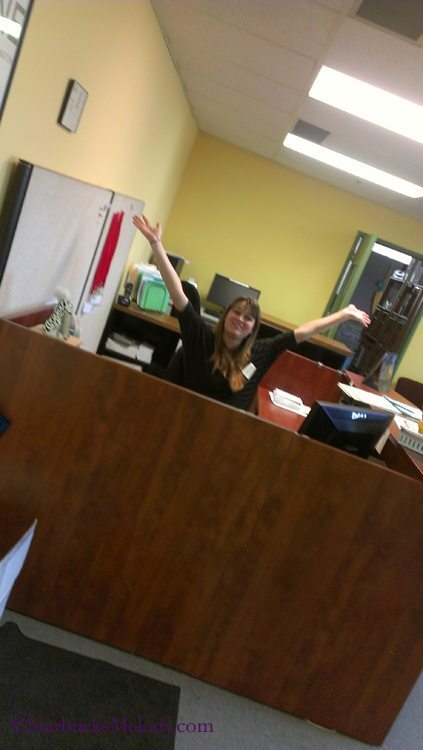 Once inside, Molly, the volunteer coordinator enthusiastically greeted me! She really works hard to create enthusiastically engaged volunteers! 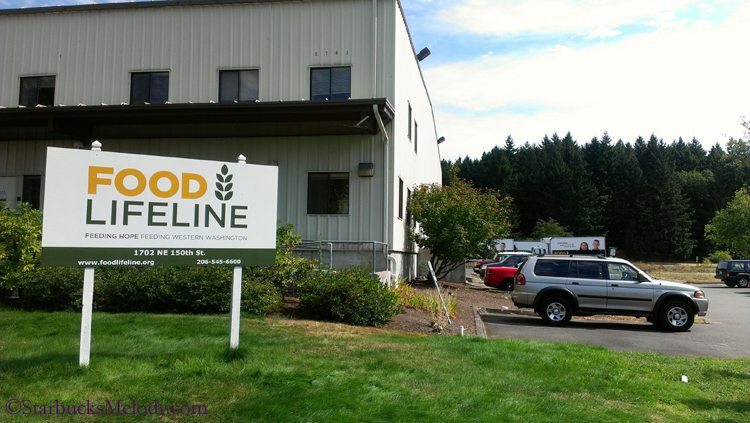 Food Lifeline receives about 94% of its food by donation. Occasionally they do purchase a small amount of food, but overwhelmingly their food comes from strategic partnerships with businesses, corporations, and even directly from farmers and growers. These very large boxes of peppers came up from California, and were part of an unusual purchase of food. 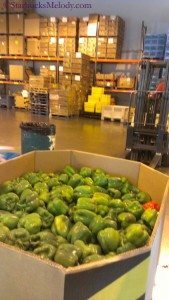 Our job was to repack, and sort the very large boxes of peppers into much smaller boxes that would be more appropriate for distribution to either food banks or meal programs. 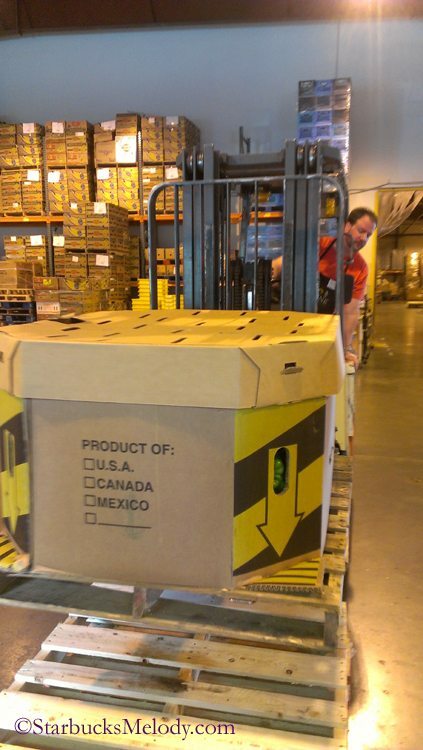 About 300 food banks and meal programs receive food from Food Lifeline. At the far receiving end of this chain may very well be you or your neighbors. The need for food banks and meal programs is unfortunately very high. 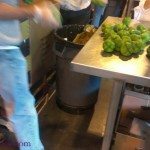 As we worked, the damaged bell peppers were tossed into the compost. I didn’t take a photo of the insides of the compost bins … it sort of looked like bell pepper madness gone wrong. We also wiped the peppers clean of excess water and slime before packing them into boxes. Some volunteers had the job of repeatedly weighing the bins of compost. Apparently, Food Lifeline had made an agreement to receive a refund back for some portion of damaged product. 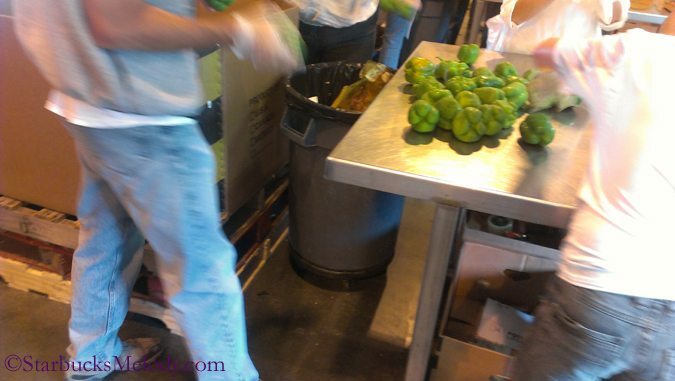 As for myself, I stood there and packed and packed and packed peppers. And then I packed more peppers into boxes. And then I packed more peppers into boxes. We found a lovely red pepper in one box! It really stood out! That was my afternoon of volunteering! 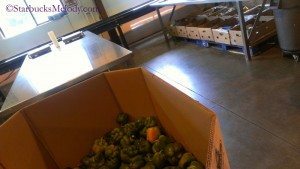 The volunteer coordinator told us that we repacked about 3,900 pounds of peppers. 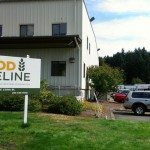 If you’re reading this and you’re here in the greater Seattle area, I highly recommend that you volunteer with Food Lifeline. They count on very large numbers of volunteers to get their work done! They need your help! Be sure to follow them on Twitter too. Here’s my previous episode of volunteering with them. Back to the topic of Starbucks, if you’re just looking for volunteering opportunities, both customers and partners may register and use the Starbucks Community Service webpage. By the way, it wasn’t all that long ago that Starbucks had a program called “Make Your Mark.” It’s actually been a while since I’ve heard any partners mention it – Starbucks agreed to make a small monetary donation to a non-profit if a certain number of volunteers worked at a volunteering event. Food Lifeline would be perfect for a “Make Your Mark” event. Does “Make Your Mark” still exist? I would assume so. After the volunteering was all done, I hopped on a bus and returned home to downtown Seattle. Ahh home sweet home. I went to one of my favorite downtown Starbucks and told the partners all about volunteering. It was slow, so I showed them photos of boxes of peppers on my phone. Mark, a super nice partner who’s only been with Starbucks about 10 months, said to me “Melody, Can I buy you your drink today? Thank you for giving back.” It was truly a surprise and a delight. I ordered a cool lime Refresher (no modifers) which was highly refreshing after an afternoon of bell pepper madness. Thank you Mark. Great story Melody and I’m happy you found a good organization to volunteer with. The company I work for gives us time off during the year to volunteer and even helps coordinate volunteer opportunities. Giving back is a great way to be part of a community. And Mark made it even better by keeping the giving going. Thanks for letting us know how your day went. That is great about your volunteering and giving back and showing we can give TIME instead of money since budgets are tight these days. Melody I enjoy these non Starbucks related posts. 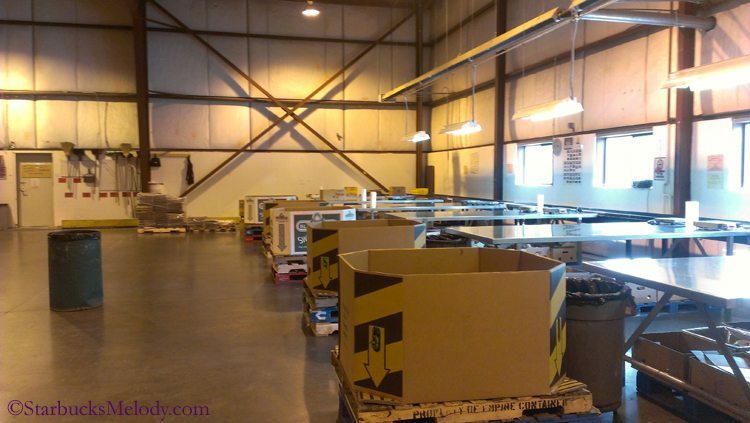 I think this food bank is quite unusual in its operation and the ones around here do not function like yours. Kudos to you. Btw today is the blog’s anniversary right? Congrats to you and may we have many more years of great community and great conversation. Thank you melody. @Purple1 – Hi there! Food Lifeline is definitely not a food bank. I think it works this way in many places: Large non-profits essentially act to gather food and redistribute food. 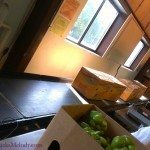 One little food bank can’t negotiate and process an order for tons and tons of bell peppers. 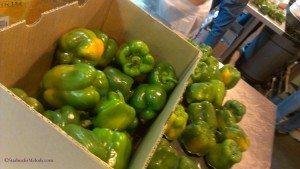 But if they want peppers, they can ask for them through the Food Lifeline website. Years and years ago, in the 1990s, I volunteered on Fridays nights at a soup kitchen in Seattle’s University District. 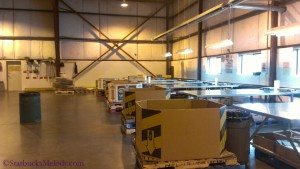 I remember going with the program director to Northwest Harvest (another organization that does almost the same thing as Food Lifeline) and getting food for our soup kitchen. In some ways, NW Harvest and Food Lifeline represent the ‘grocery stores’ (or are analagous to them) of meal programs and food banks. Food banks cannot pay to go shopping at Whole Foods. And all those tons of donations of food you make – have to be processed. Take a look at the previous blog post. By the way, this year I have volunteered a couple of times with Operation Nightwatch. My work encourages that we volunteer with that specific organization, so I, and a large number of coworkers, have made meals for about 200 homeless people. Operation Nightwatch also can go get food from Food Lifeline. I love reading your posts about Food Lifeline. I read your blog as a Starbucks Barista interesting in whats going on in the Starbucks world..but my last job was at Lifelong AIDS Alliance in their food program, The Chicken Soup Brigade. 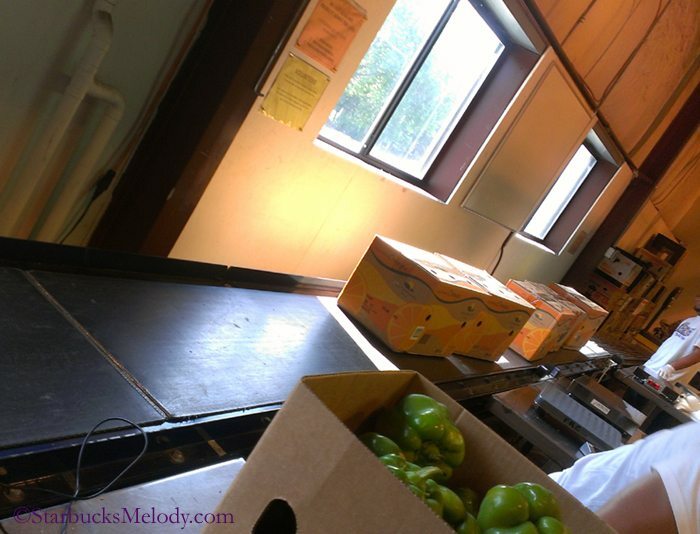 I would drive a truck down to Food Lifeline every Tuesday and pick up several pallets of food. It’s hard work sorting a couple million peppers =). I just thought you would like to know that your work is greatly appreciated by many right here in Seattle living with HIV/AIDS and other chronic illnesses. Keep it up! One quick correction. I would pick up food from NW Harvest. Lifelong had food from Food Lifeline delivered by one of their drivers =). Still greatly appreciated! @Happy Barista – You really made me smile! Thank you! Great post. It feels good to help others. Starbucks is very good about giving back too. Hi Dottie – I am not sure how often I will be volunteering at Food Lifeline, but you’ll hear about them again! Thank you for your comment. Glad the non-starbucks article is liked! Count me in the next time you go!